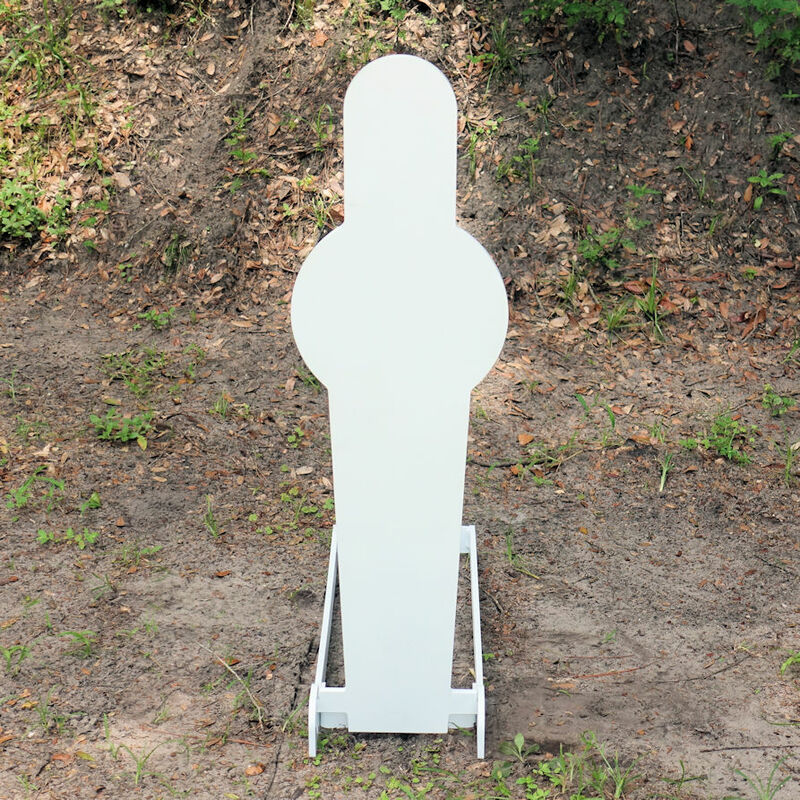 Our 42″ Knock over Pepper Popper is built to last! 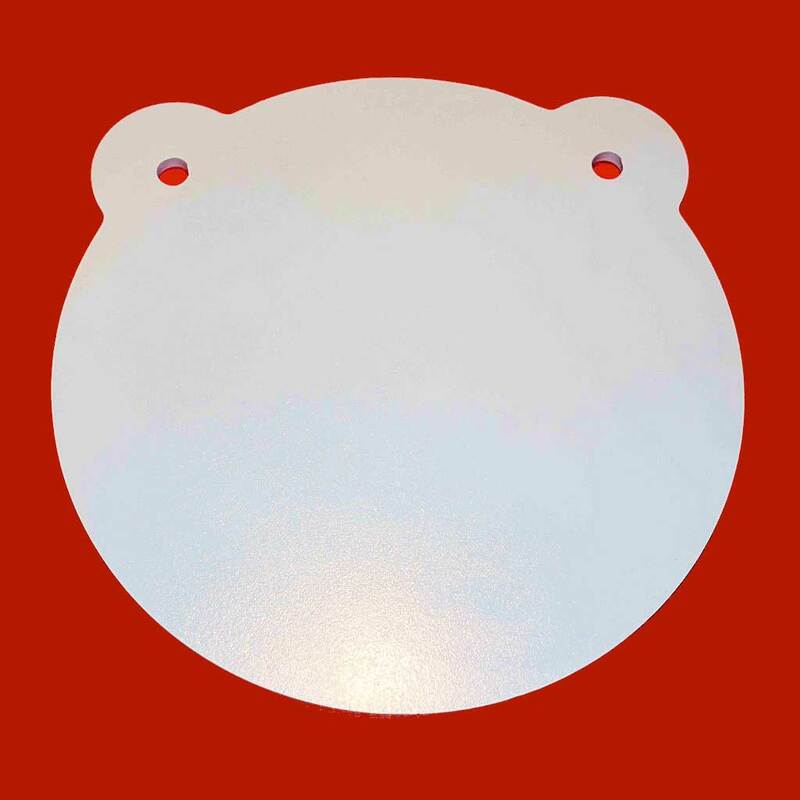 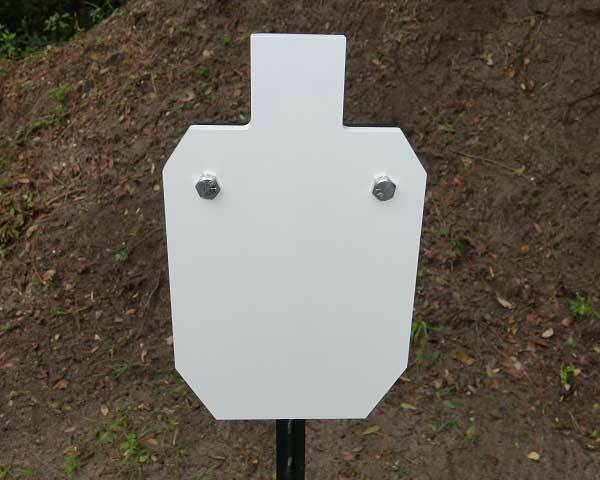 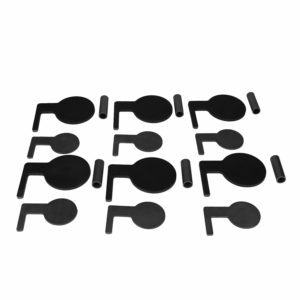 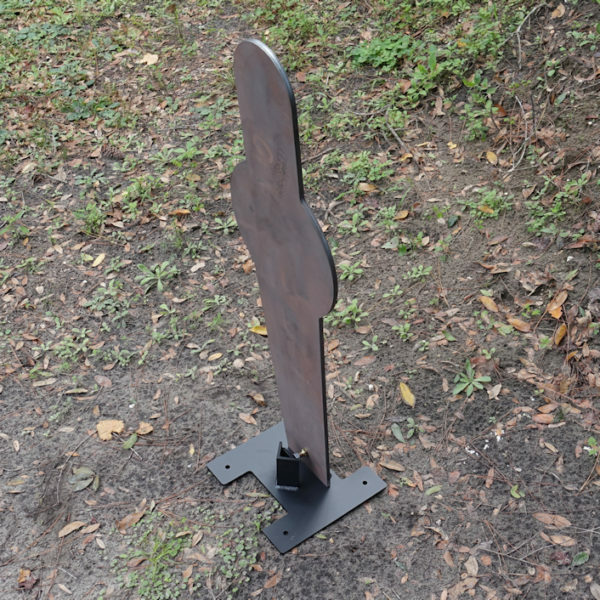 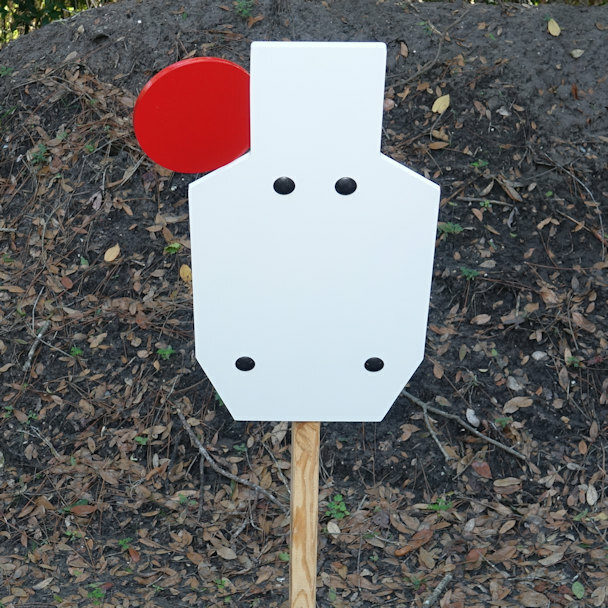 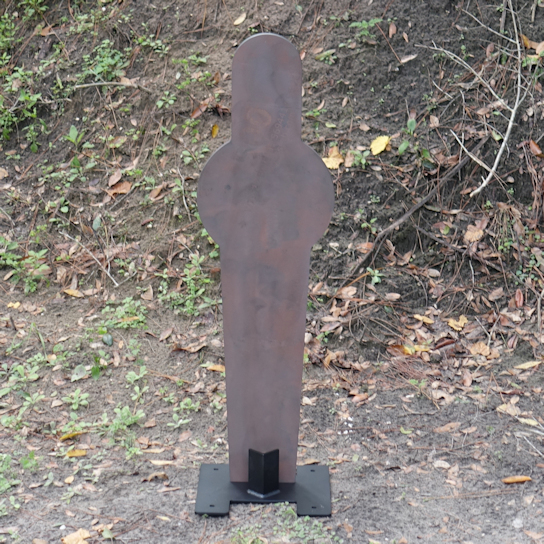 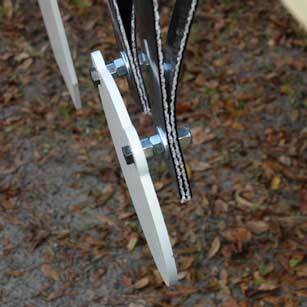 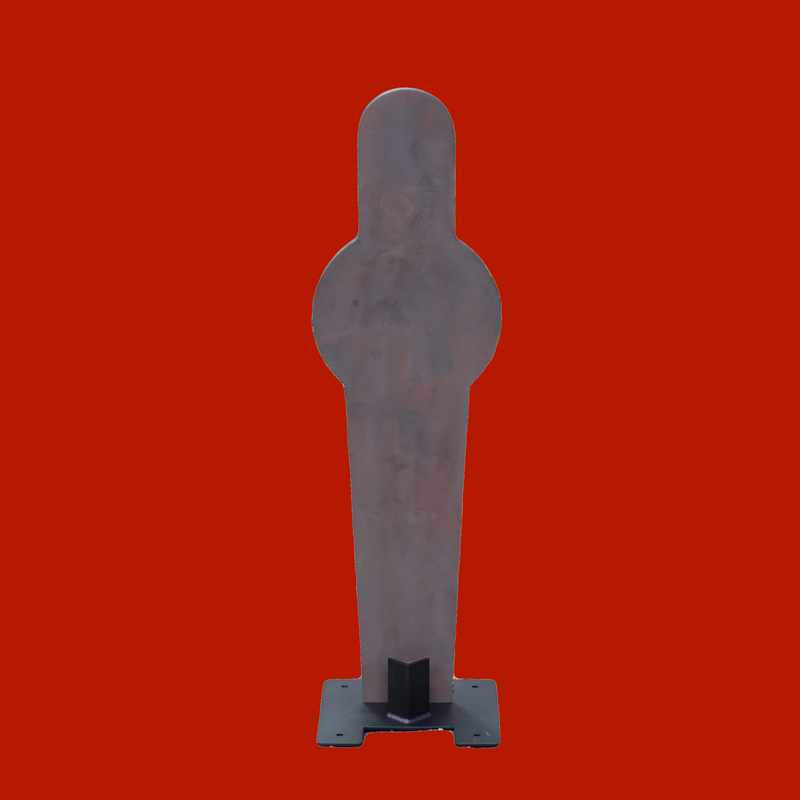 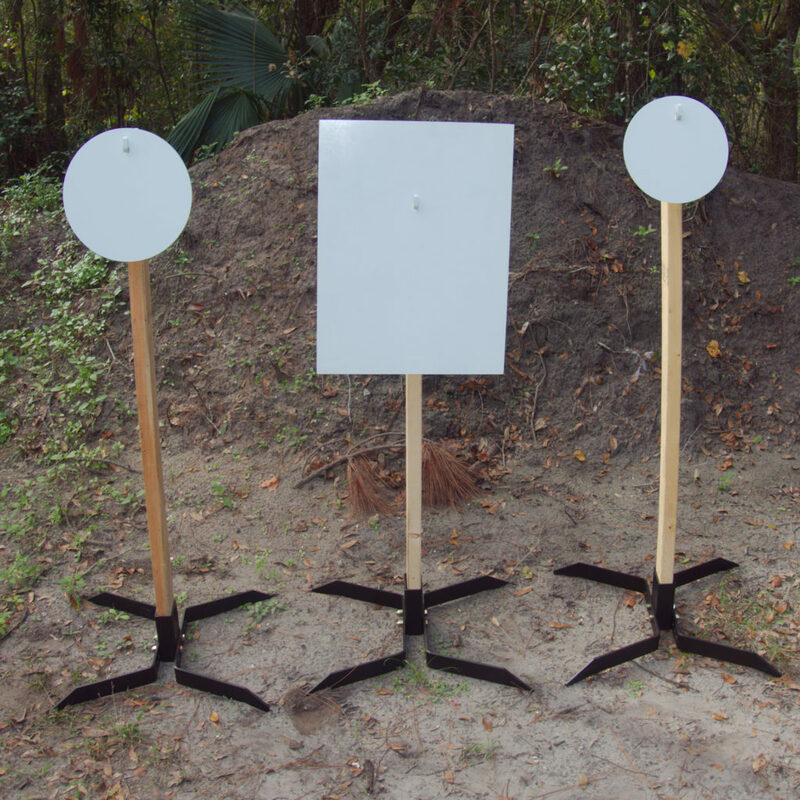 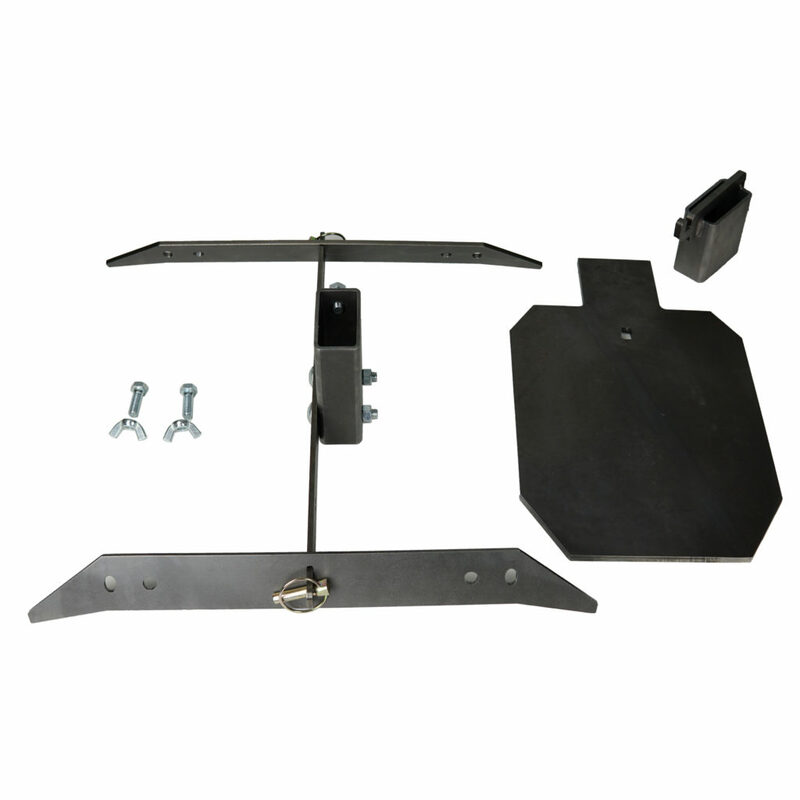 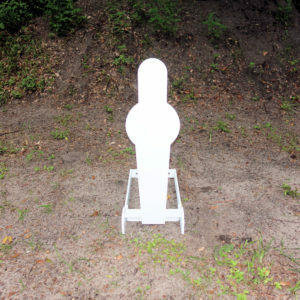 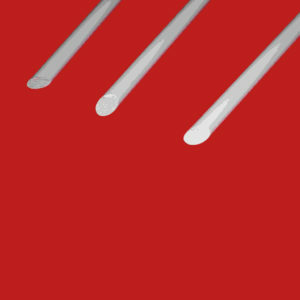 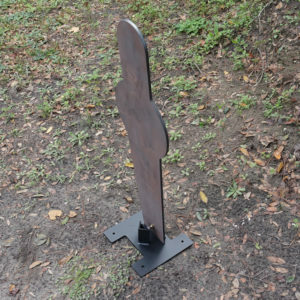 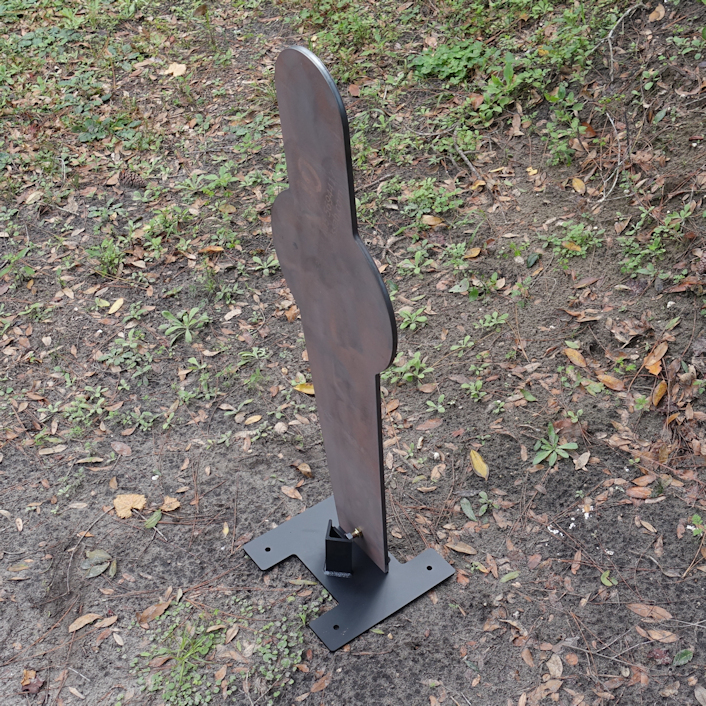 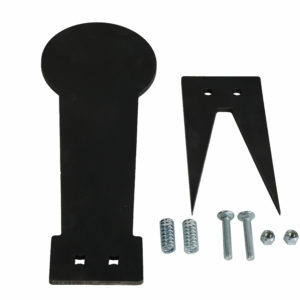 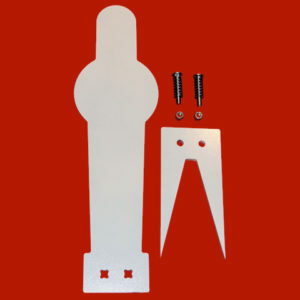 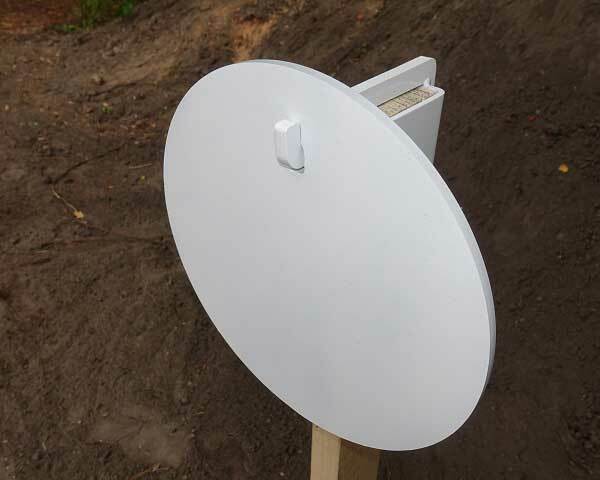 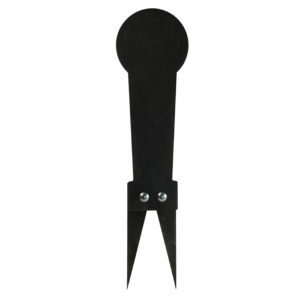 We offer the 42” Pepper Popper strike plate in both 1/4″ AR500 steel and 3/8″ AR500 steel. 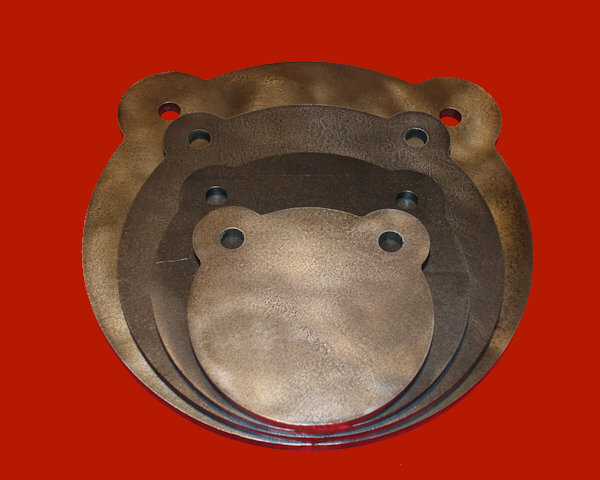 1/4″ thick plate weights only 23lbs. 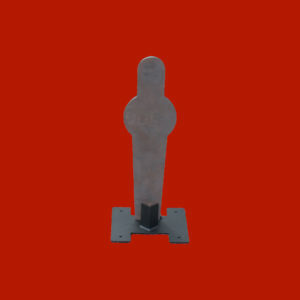 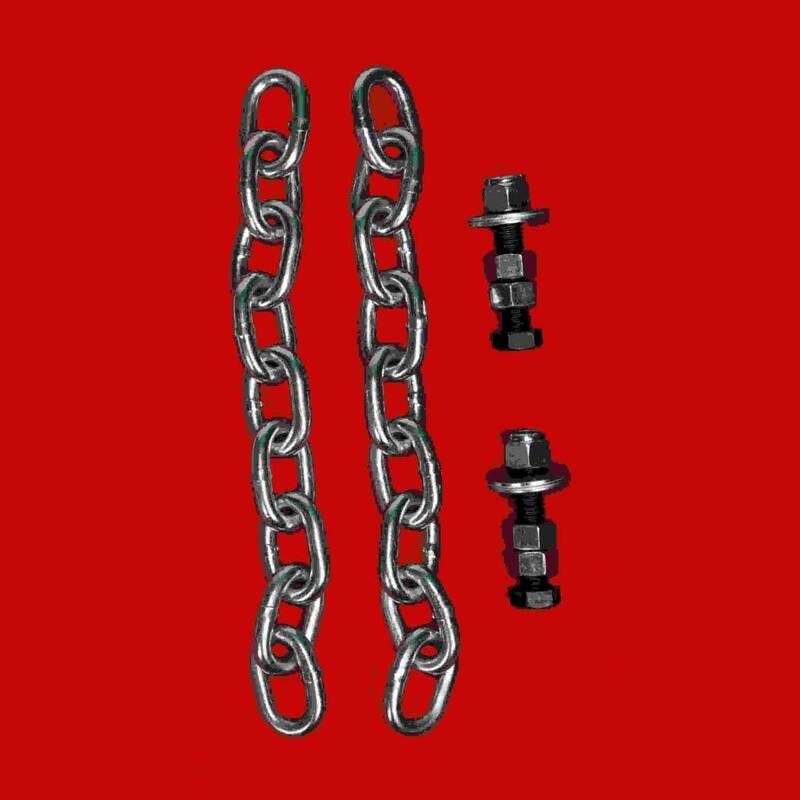 3/8” thick weights 30lbs. 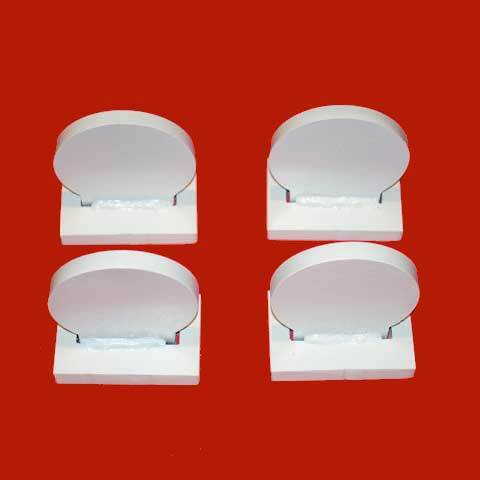 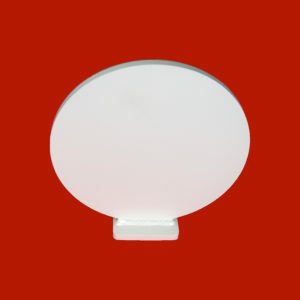 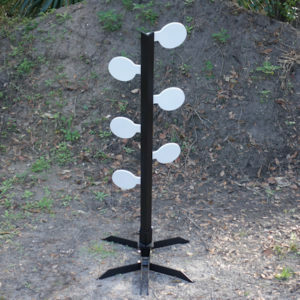 Many ranges choose 1/4” thick to make match setup less demanding. 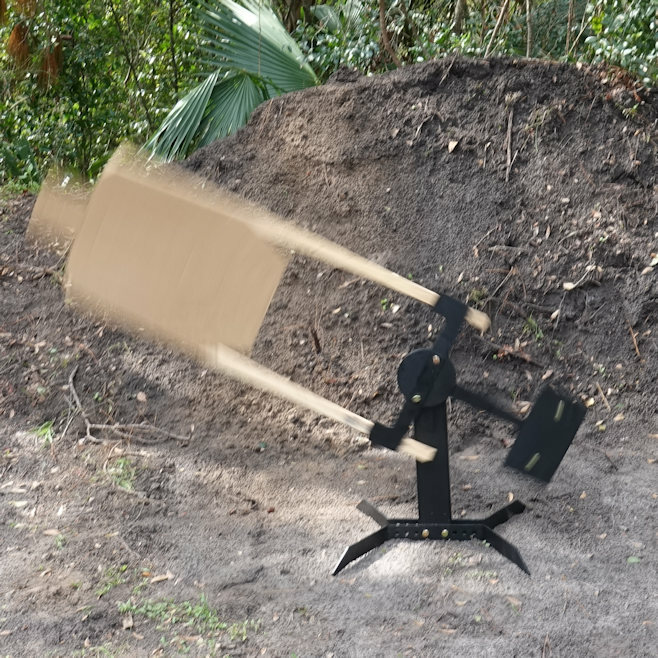 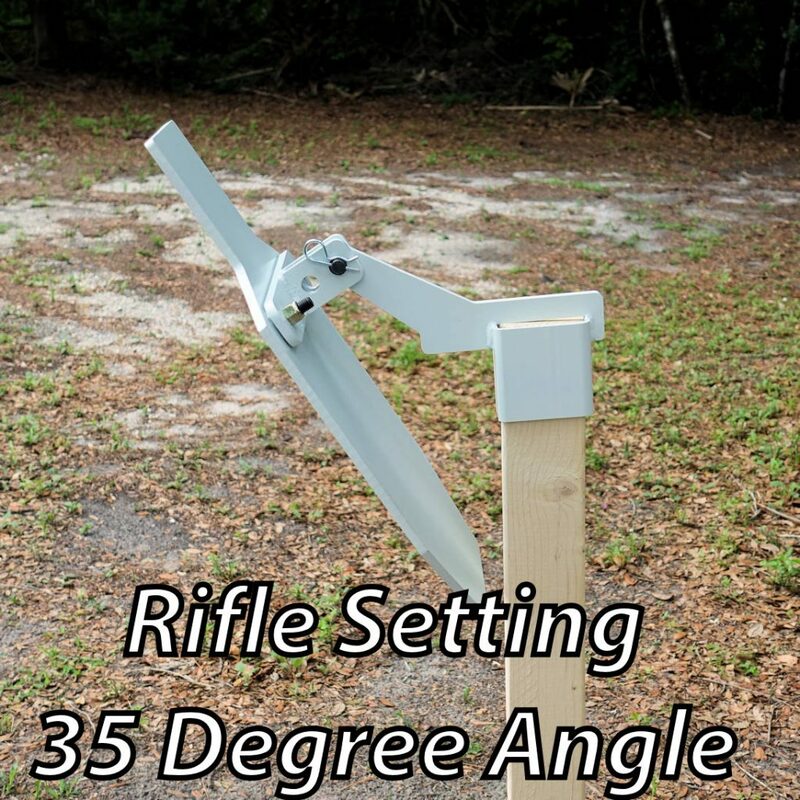 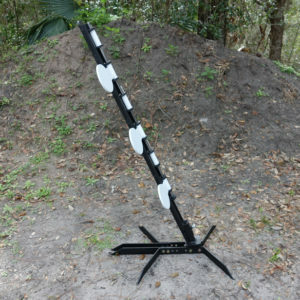 Our 42″ Knock over Pepper Popper is made of premium 3/8″AR500 Steel, precision cut using a CNC plasma cutter with water submersion to maintain the strength of the steel. 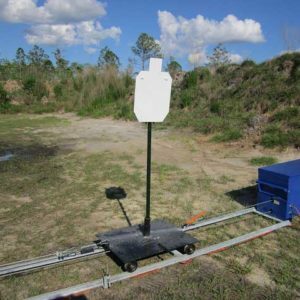 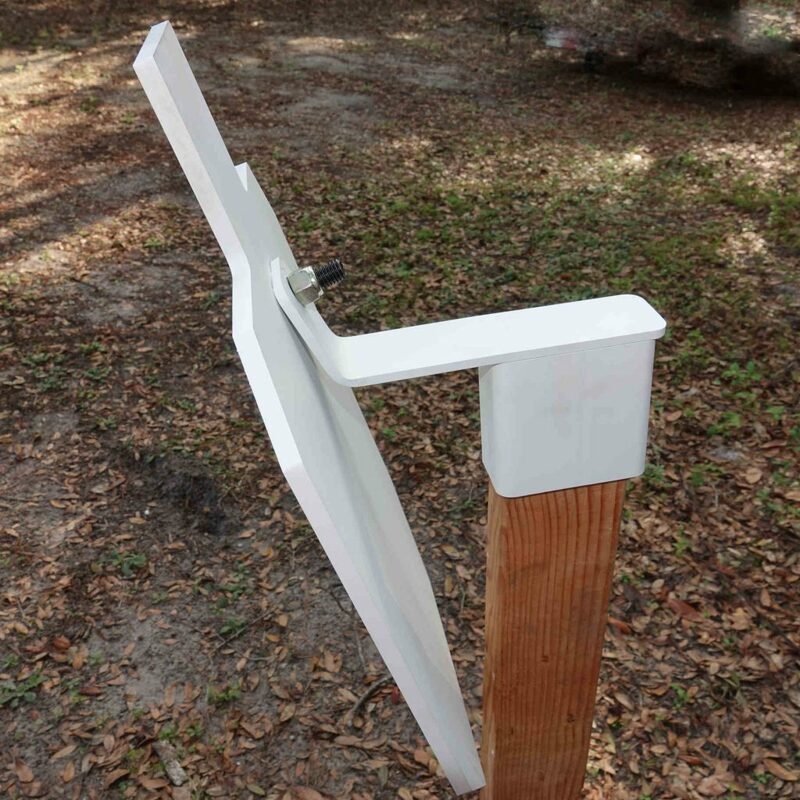 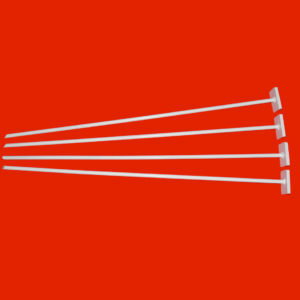 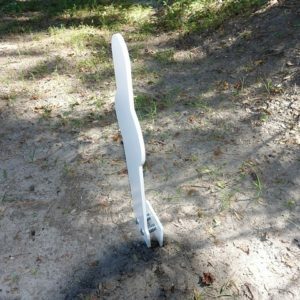 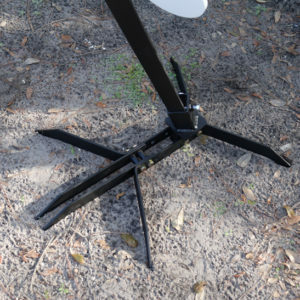 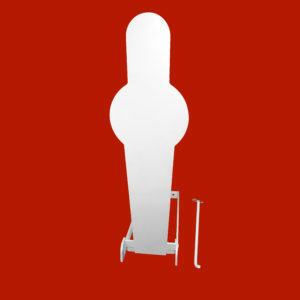 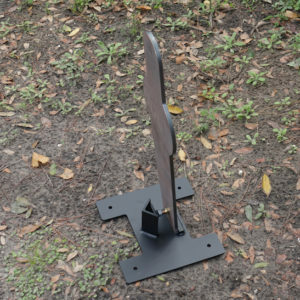 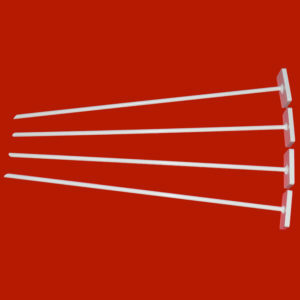 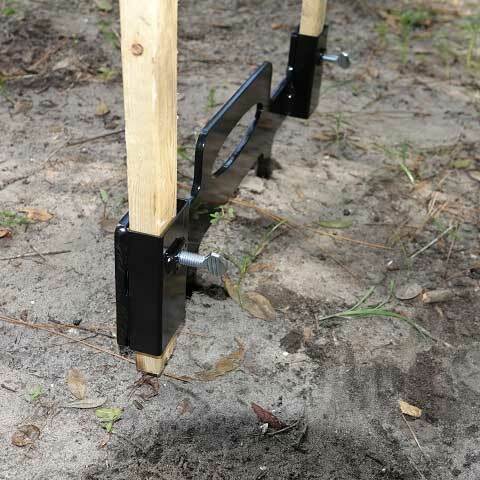 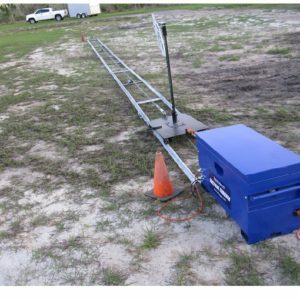 The 42″ Knock over Pepper Popper stand also includes a calibration bolt in the upright, so you can adjust the amount of force it takes to knock over the Popper. 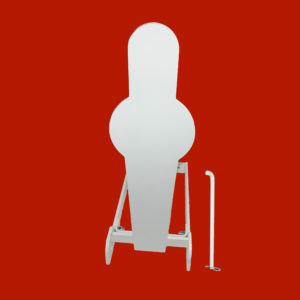 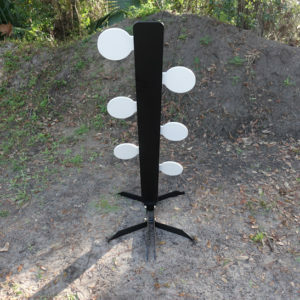 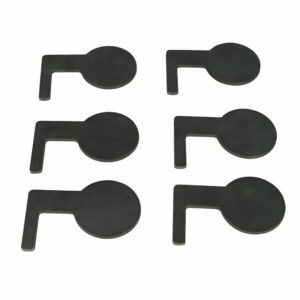 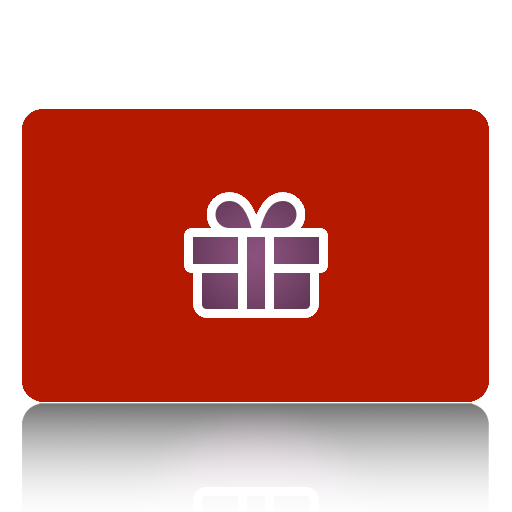 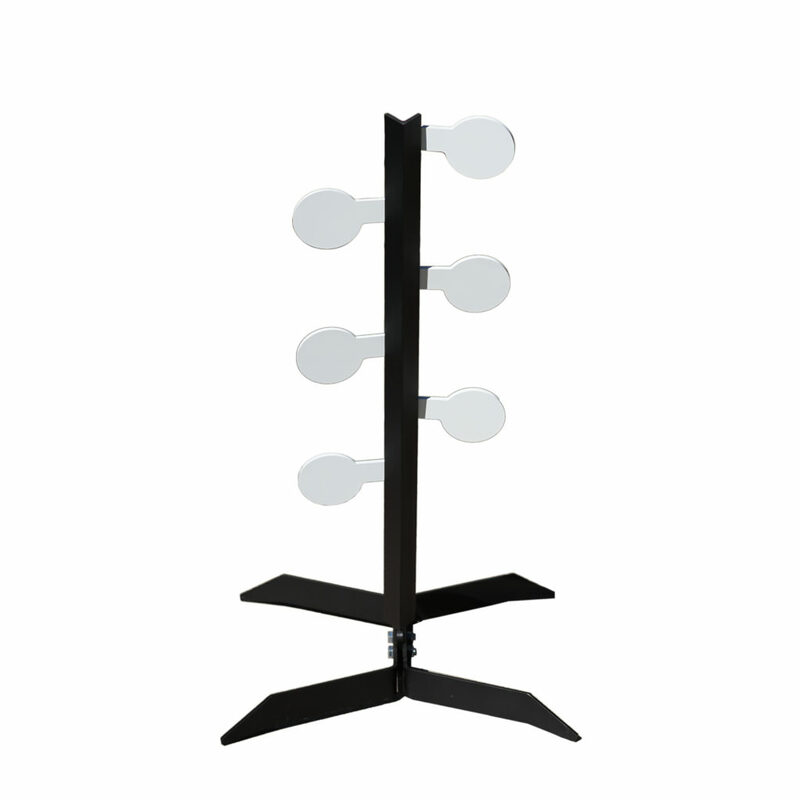 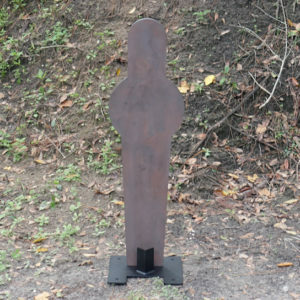 The set includes an unfinished 42″ Knock over Pepper Popper and 12″x12″x 4 1/4″ 1/4″ steel stand painted flat black.